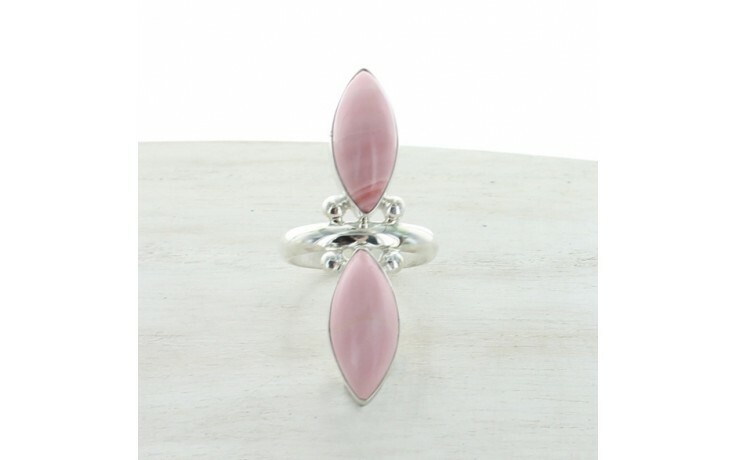 This long north-south oriented ring features 2 large marquise shaped pink opal stones. Set in sterling silver and placed on a simple narrow band. In between the opals lies 4 decorative beads of silver. The ring measures 1 3/4" long by 1/2" wide. 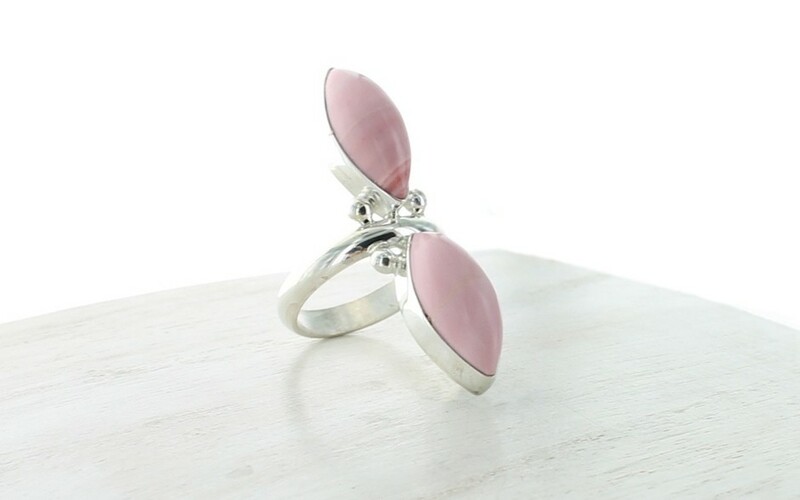 The natural, untreated opal was mined in Australia.